Police on Monday afternoon arrested a 31-year-old Wallingford man by warrant and charged him with first-degree larceny. 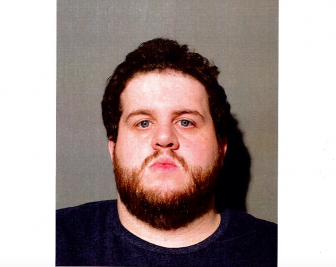 Arrested last summer for the theft of about $150,000 in Rolex watches from Manfredi Jewels on Elm Street, Pierce Shortell of Whittlesey Avenue now is facing additional charges in connection with a different set of Rolexes, according to a police report. Since his first arrest, investigators said they’ve discovered more discrepancies, such as falsified invoices and non-existent shipping addresses. Watches found on falsified invoices were being sold on eBay, according to the police report. All the thefts and problems started near the exact time of Shortell’s hiring in June 2016 and stopped when he resigned one year later, the report said. Police are still investigating additional missing watches. Shortell was released on $50,000 bond and scheduled to appear April 9 in state Superio rCourt in Norwalk. He pleaded not guilty to the charge from last summer, Connecticut Judicial Branch records show.